Fits easily on top of a mobile radio or anywhere in the vehicle without taking up space. Interfaces with most brands of mobile radios and works with most Low Band, VHF and UHF systems. Can also be programmed to work with most trunking protocols. 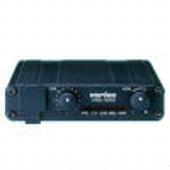 Includes Voice Inversion Encryption that provides the connected mobile radio device with secure communications capability. If multiple vehicles are at one location, the VXR-1000 will adjust to recognize one master repeater in operation at a time to ensure communication is never disrupted. When direct, secure communications is needed to a portable radio use, the VXR-1000 can talk directly to the portable radio and avoid communications being transmitted through the repeater system. Has DTMF decoding built-in to coordinate with the Emergency and ANI functions found in Vertex Standard mobile and portable two-way radios. If an Emergency alert is received from a mobile or portable radio, the VXR-7000 will beep loudly and blink the LCD to notify the dispatcher of the emergency alert. Can perform in repeater or base station mode depending on the application. 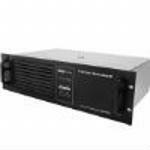 Includes Priority Channel scanning capability for efficient communications monitoring. 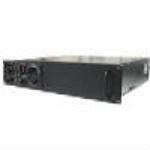 Should DC power fail at the repeater site, the VXR-9000 will automatically revert to a backup DC power source if connected. 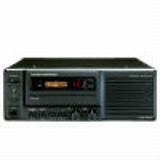 Under backup DC power, the repeater will transmit an alert message to notify the operator that immediate attention is required at the repeater site.